Warwick is a city in Kent County, Rhode Island, United States. It is the second largest city in the state, with a population of 82,672 at the 2010 census. 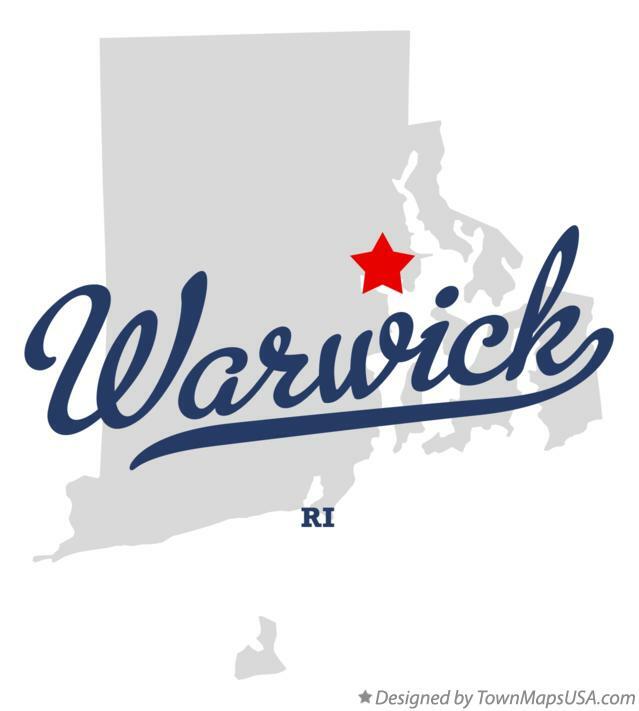 The city of Warwick and T.F. Green Airport are located approximately 12 miles (19 km) south of downtown Providence, 63 miles (101 km) southwest of Boston, Massachusetts, and 171 miles (275 km) northeast of New York City. Its mayor has been Scott Avedisian since 2000. Warwick was founded by Samuel Gorton in 1642 and has witnessed major events in American history. It was decimated during King Philip's War (1675–76) and was the site of the Gaspee Affair, a significant prelude to the American Revolution. Warwick is also the home of revolutionary war general Nathanael Greene, George Washington's second-in-command, and Civil War General George S. Greene, hero of the battle of Gettysburg. Warwick is home to Rhode Island's main airport T. F. Green Airport, which serves the Providence area and also functions as a reliever for Logan International Airport in Boston, Massachusetts. It is also the home of the 43rd Military Police Brigade of the Rhode Island Army National Guard.